Saxophonist Mick Foster (Pasadena Roof Orchestra, Humphrey Lyttelton, John Dankworth, Royal Philharmonic Orchestra) brings his quartet for an evening of melodic jazz playing some of the great tunes from the American songbook, as featured on his album 'Four Views'. Expect to enjoy On The Sunny Side Of The Street, Moonlight In Vermont, But Beautiful, I'm Old Fashioned, 'Recado Bossa Nova' Emily and Broadway, as well as one or two Gerry Mulligan pieces. 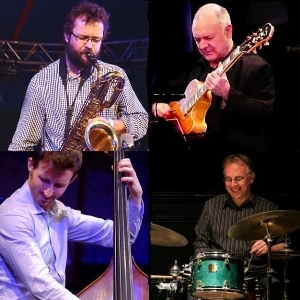 Mick will be playing baritone sax as well as alto and C Melody saxes, is joined by Dominic Ashworth on guitar, Tom Farmer on double bass and Tristan Mailliot on drums.